ill try and squeeze a flat stone into my new tank scape somewhere for them! They burried their last lot of eggs in the sand which was cool. 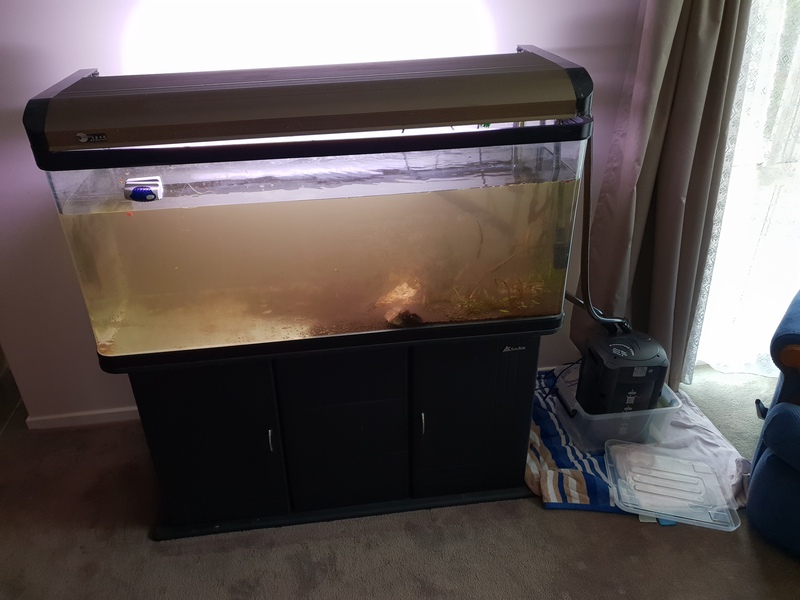 awaiting my new 4x2x2 to be built (see active thread) and this tank will get shut down and sold off. That's a bit sad to hear. This actually look very similar to my concept I plan to implement next year, though I plan to play around with slopes a bit more. This tank caused me so much stress and emotional pain. Im considering it the build up tank to bigger and better things. The new 4x2x2 will have all the same livestock, will contain majority of the same stuff minus the driftwood. That makes sense. Can't wait to see what you're putting up! There isn't much left of this tank now, just some rocks, sand, and a few crypts until I move the livestock over to new 4x2x2. Last edited by luked; 06-11-18 at 09:06 AM. End of an era. I think you got some good growth at some stage! Hope you still have the super red mini (I've lost mine!) for cheap red thrills. so, stupid me pulled all the plants out and had no where to put them, so I put them into plastic bags and floated them.. in one week with no co2 or good light all of the stems died. I managed to cute a few tips of the Super Red Mini and plant them but Im not holding high hopes for their come back. Hygrophila pinnadifiata and super red mini combo to grow out the top.